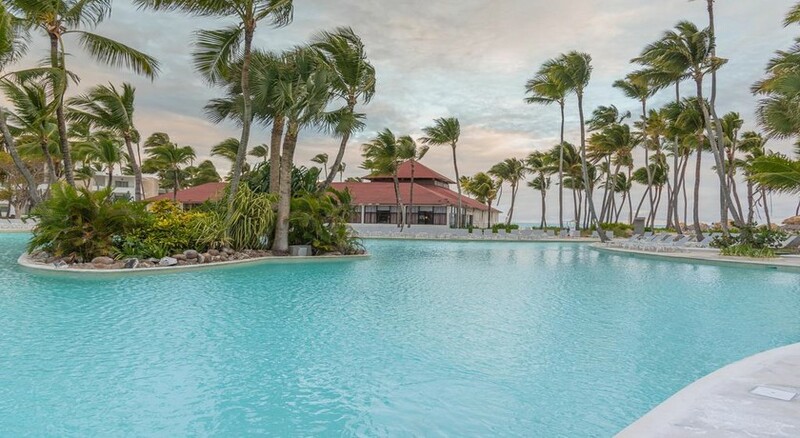 The Bavaro Princess in Punta Cana is a spectacular resort located just five minutes’ walk from some of the best beaches in Dominican Republic. The resort is designed for couples and families of up to four members as it has a large variety of suites and guestrooms. All rooms have a balcony overlooking the protected natural surroundings, a living area with cable TV and a minibar, while some upgraded guestrooms have a private hot tub. Within its premises the hotel features a spectacular spa, 11 bars and nine restaurants. It also has three outdoor pools in which activities are organised and a casino where customers can try out their luck and enjoy pleasant evenings. Bavaro Princess is located in a privileged natural enclave within the Dominican Republic. In this sense, some of the most famous beaches in the country are only five minutes away on foot. The Punta Cana International Airport is 21.9km, while the town of La Romana is about 95km from the hotel. Bavaro Princess has a great variety of guestrooms that are categorised as Platinum Suites, Functional Junior Suites and Bungalow Suites. All suites are equipped with a seating area with a flat-screen TV and cable channels, a balcony with views of the surrounding natural landscapes and a perfectly equipped bathroom. Some of them even feature a whirlpool bath. 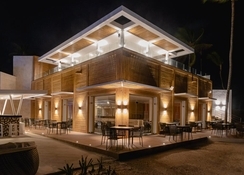 Bavaro Princess welcomes you to an unparalleled dining experience with a selection of themed restaurants, international cuisine and a host of bars and lounges. 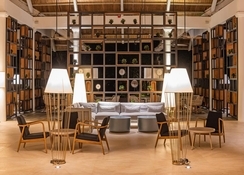 With a total of nine restaurants, guests of the hotel can take a world gastronomy tour. 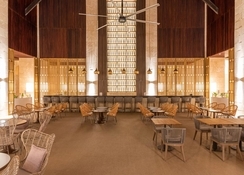 The establishment also features a beach bar, pool bar and several lounges. 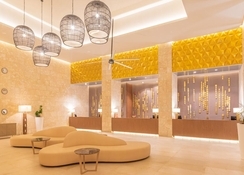 The Hotel Bavaro Princess All Suites Resorts Spa Casino of Punta Cana has a spectacular spa centre for the delight of its guests. It also has a casino that holds shows every night. In the common areas of the complex there are a total of three outdoor pools in which activities for children and adults are organised. 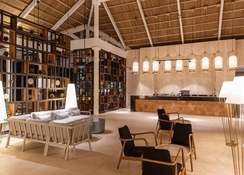 There are also nine restaurants and three bars available, as well as a fantastic Wi-Fi Internet connection.